Although the affirmation of the title may sound strange, it is. 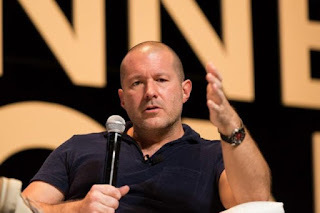 With this I do not mean that Johny Ive has a dozen iPhones pulled by his bed, but his commitment to the company is such that he has come to sleep in the factory where they were assembling. This statement came to light during an interview in which the iconic designer explained how frequent it was that they were months in the locations where their products are manufactured . Beyond rumors -determined or not- by Ive, the truth is that this interview left us prolific statements , ranging from the way of working and vision that Apple employees must have to their personal relationship with Steve Jobs. Many of Apple's followers have asked us: what would it be like to have Steve Jobs as boss? We know that his genius was on par with his extravagance , and that is why some people had called him difficult. In response to this, Ive told his shared vision of creativity with the co-founder of Steve Jobs: His way of seeing the world of design was different. He shared his way of seeing life with me, he was a very happy and positive person. I really miss him. In relation to this, they also asked him what a person should do if he wanted to become part of the team, and he, instead of responding to a specific technical profile, commented that the most important thing is his vision of the world . According to the designer, the legacy of Jobs is based on a set of values ​​that should not be lost in the company , in addition to the importance of the philosophical current that is followed in Cupertino, based on if you think you can do it, do it . To finish, they also asked him the reason why Apple keeps so zealous their news until they are presented, -although as a rule, we always know what will be the Apple news of the year-. His answer was simple: when a product is in the design phase, it is very simple that the criticisms affect him in a very negative way, so it is best to keep it secret until its launch. We only protect the idea.